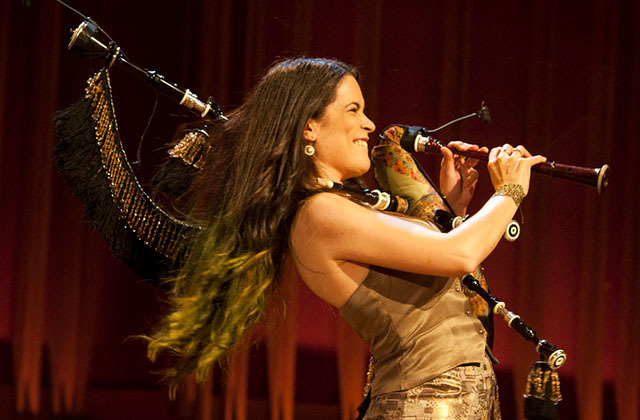 The late cellist Jacqueline Du Pré and the legendary percussionist Dame Evelyn Glennie, and now the virtuoso Galician bagpiper (gaita player) Cristina Pato… Very few musicians of any gender have more visceral energy and vivacity than these three musicians. 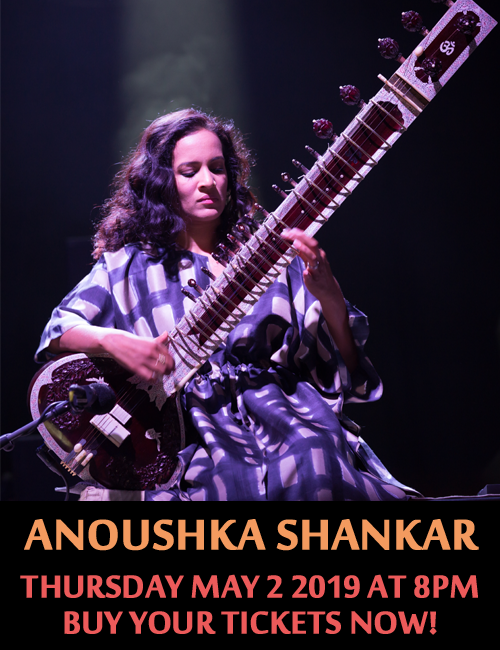 Ms. Pato has something none of the other two musicians have: duende that wicked magic that lurks deep down in the soul and is awoken when the artist reaches the kind of intensity of expression that is as explosive as a coiled spring held down for too long. This music on Latina: The Latina 6/8 Suite gets to you if you open your heart. In fact it will pry open the gateway to your soul and if you resist, it will get you anyway. Such is its impactful energy. The Suite has been written in the dancing rhythm and tempo of 6/8, which means the joyful rhythms of Landó, Joropo, Festejo and other maddeningly joyous dance forms such as those. I can’t think of anything like this that exists in written/recorded form. It’s truly a first. The Cristina Pato Quartet gets under the skin of this long-limbed joyous masterpiece, performing with a lovely flexible sense of timing. Ms. Pato explodes the exquisitely angular lines in the statuesque contrapuntal “Fandango” allowing it effortlessly to unfold. Each ebullient sequence of the Suite locks arms with the other bounding and leaping across what you might imagine to be a never ending expanse of a waxen dance floor. The bagpiper is warmly spontaneous, unleashing ardent melodies as if from a medieval weapon. There is a forward drive at every turn; deliberate gestures inform the extraordinary brightness that lights up the forte passages, and she brings a huge range of colours overall. An obsessive perfectionist, Cristina Pato has polished these individual sections of the Suite into gleaming gems. Bassist Edward Pérez has not only explored the vivacious forms wholly in his versification, but he has also written idiomatically—never gratuitously flashy—but flamboyant nevertheless. Together with Cristina Pato, who also plays piano and sings when she has to, Edward Pérez and the rest of the quartet’s traversal of the various sections share that supple rhythmic flexibility. The Fandango is big-boned and generous with a depth and spaciousness that gives the piece an orchestral scale. Cristina Pato is particularly exciting in the sequences that sound best Vivace. She makes music that is powerfully and, at the same time, lovingly delivered, Mr. Pérez creating a glistening delicacy as a foil. The forward drive of the Landó, the Tanguillo, Joropo/Festejo and other dances enable the musicians to build up a kind of explosive end to this singularly high-voltage work. I cannot think of an extended piece—a suite, or otherwise—that is as inspiring as well. This is truly a miraculous piece of music by a musician whose star—duende or not—is certainly on the rise. Track List: “The Latina 6/8 Suite”—Fandango: Prueba de Fuego; Landó: María Landó; Tanguillo: The High Seas; Joropo/Festejo: Muiñeira de Chantada; Currulao: Currulao de Crisis; Tarantella-Muiñeira: Epilogue; Llegará, llegará, llegará; Let’s Fiesta; Tarantella Muiñeira. 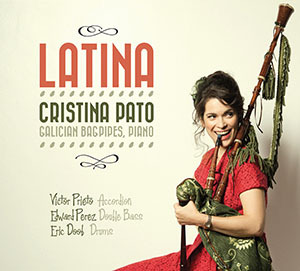 Personnel: Cristina Pato: gaita, piano, voice; Edward Pérez: double bass; Eric Doob: drums; Victor Prieto: accordion.